George Kirby was one of the top prep pitchers in the state of New York in 2016. 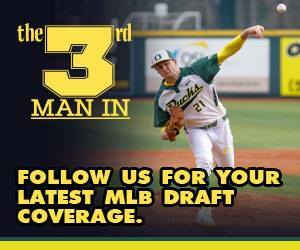 His intangibles and potential had major league teams intrigued when the 2016 MLB draft rolled around. 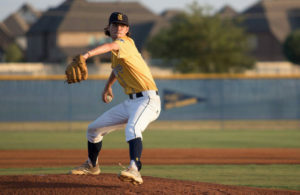 The New York Mets drafted the right-handed hurler in the 32nd round, but he bypassed the opportunity to stick with his commitment to Elon University in North Carolina. He committed to Elon as a sophomore in high school in 2014 because he knew it was a place he could contribute instantly as a freshman. After experiencing mixed results as a freshman at Elon in 2017, Kirby made major strides in his development throughout the college season and during the summer in the prestigious Cape Cod League. Professional scouts have noticed Kirby’s growth, and he’s considered a potential first-round pick in June’s draft. MLB.com ranks Kirby as the 39th-best prospect in this year’s draft class. If Kirby is a first-round pick, he’d be the first Elon player to accomplish that feat in the program’s 119-year history. Kirby posted a 4.84 ERA with 55 strikeouts and 17 walks allowed in 61 1/3 innings in 16 games (five starts) as a freshman in 2017. He displayed growth in his second season as a full-time starter. Kirby controlled opposing batters and recorded a 2.89 ERA with 96 strikeouts and 27 walks allowed in 90 1/3 innings (15 starts). Kirby continued his success in the Cape Cod League when he posted a 24-1 strikeout-to-walk ratio in 13 innings as a reliever. 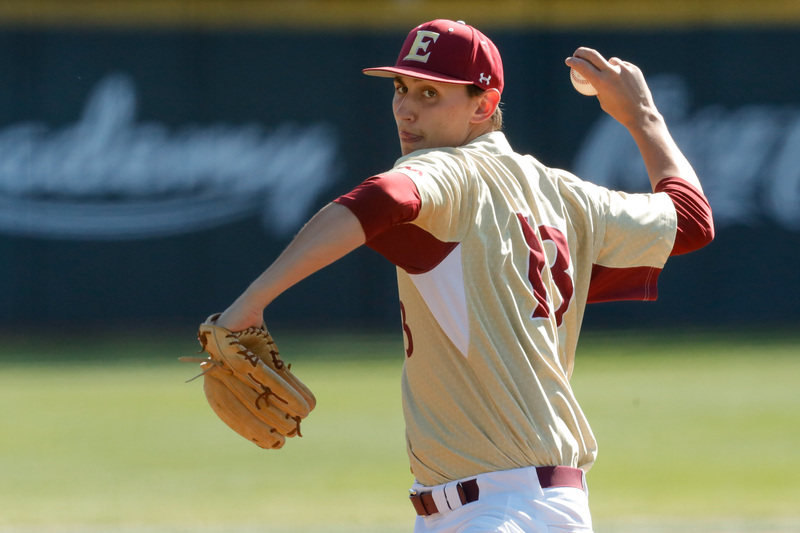 He credits his improved results to his pitching coach Sean McGrath, who implemented Driveline Baseball workouts into the Elon pitching staff’s routine in his first year on the coaching staff last season. Kirby said the workouts allowed him to improve his arm strength and fastball velocity. Kirby, a 6-foot-3, 205-pound righty, has a four-pitch mix, featuring a fastball, curveball, slider and changeup. His fastball reaches the mid-90s and is his best offering. He also has a clean delivery and smooth arm action. Kirby has an improving group of secondary pitches. He realized the need of mixing his off-speed pitches to keep hitters off balanced throughout the summer, he said. Prior to arriving at Elon, Kirby didn’t throw a slider. It’s an offering he’s been working on since his freshman year and has become a weapon for him. It’s a pitch he’s still trying to master, but if he’s able to throw it at 84-87 mph, it generates swings and misses, as it comes out of his hand at the same angle as his fastball. 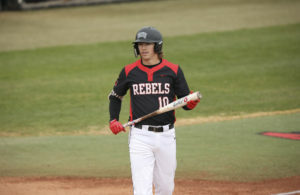 Kirby hopes to build off last season’s success this spring. 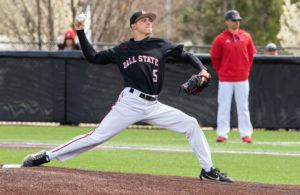 He believes pitching in a difficult summer league against some of the best Division I hitters will aid him in his development this season.